Each year the Clayton Business & Community Association hosts several major events, including the Art & Wine festival, that provide a bulk of the money that we donate back into the community. 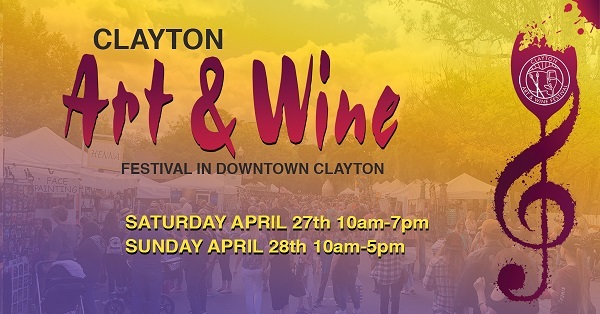 The annual Clayton Art & Wine Festival takes place on Saturday, April 27th (10am-7pm) and Sunday, April 28 (10am-5pm). The festival is less than two weeks away, and we still need to fill open volunteer spots to help make this year's event a success. Volunteer help is needed for the wine, beer and ticket booths. If you have already signed up to volunteer for Art & Wine, thank you very much! If not, please consider volunteering as we still need to fill open volunteer spots to help make this year's event a success. We cannot organize the Clayton Art & Wine Festival without the help of volunteers. If you have any questions, or would like to be placed on a stand-by list for last-minute fill-ins, please email Tuija at volunteers@claytoncbca.org. If you know of a student under age 21 who is interested in volunteering, please have them contact Marcy at marcyb@yahoo.com. Please sign up at the CBCA website at: https://claytoncbca.org/2019-art-wine-festival-volunteer-registration/. The 2019 Bocce calendar is now available. The calendar lists key dates for the Clayton Bocce League and the Ipsen Family Bocce Park, including the 2019 Spring, Summer and Fall League seasons. We have have reserved all of July and part of August for the installation of pavers at the courts. Because of this, the Spring League will start earlier than usual (March 10) and the Summer League will start later than usual (August 11). Spring League signups start on January 14. While we have made every effort to finalize dates for 2019, there is always the possibility that changes will be necessary due to weather or other unpredictable events. The calendar may be viewed here. There are no changes to league rules for 2019. You may view the current rules here. With several planned additions to the bocce website, league capos are being issued login accounts on ClaytonBocce.org. Whether for the upcoming online team signups or the planned online scoring system, it is necessary to secure and control access to functions that modify information on the website. These three providers have full-featured, robust, and secure access control systems. Many persons have an account on one of these three systems. By leveraging their existing account, they can avoid having yet another userid and password to remember. Click Login in the upper right of this page. On the login page click one of the three buttons to select the login service you wish to use: Facebook, Google, or Microsoft. Login on your selected service. (This step may be skipped if you are already logged in to the service.) The first time you login you may be asked to authorize Clayton Bocce to link to your account. After you login you will be returned to the Clayton Bocce website. You will only need to do this the first time you login. Register your Facebook, Google, or Microsoft account with your Clayton Bocce account. When your ClaytonBocce.org account is set up, you will receive an email with a one-time registration code. Enter your one-time registration code on the registration page and click the Register button. This will create a link between your Facebook, Google, or Microsoft account and your ClaytonBocce.org account. The ClaytonBocce.org login page has a checkbox labeled Remember Me. If you are using a private computer, you may want to check the Remember Me box on the login page. This will cause your browser to store your login credentials on your computer and automatically log you in when you access the Clayton Bocce website. Note: your login credentials are sensitive, so you must use https for automatic login. (ie. https://ClaytonBocce.org). This website does not access any of the information in your Facebook, Google, or Microsoft account. 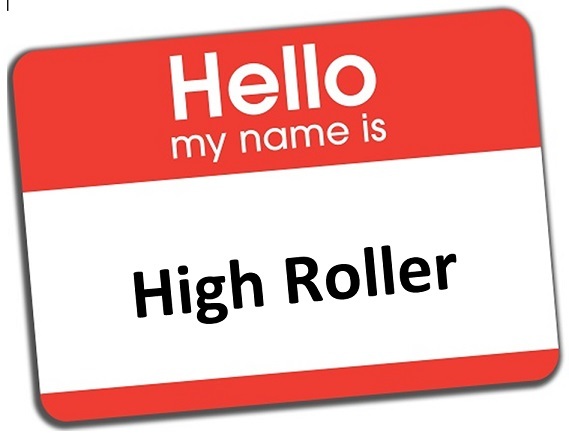 Your contact list, calendar, friend list, etc. are not visible to this website. Your userid and password are not passed to this website. When you are logged in, Login in the upper right corner will be replaced by your name. Click or hover over your name to open a pop-up menu where you may logout or view and update your account profile. What If I Do Not have One of the Required Accounts? We anticipate that most bocce league members will have a Facebook, Google, or Microsoft account. If you do not have one you will need to create one. The alternative would be for the bocce website to have its own userids and passwords, but then you would have to create one of those, so what's to be gained? Google and Microsoft accounts are simpler than Facebook, so if you just need an account to access the bocce website, we suggest either of these. Click the Sign in button in the upper right corner. Click Add Account and fill in your information. Go to the Microsoft home page. Click Sign up now and fill in your information.